10 months, 2 weeks ago Edited by d7samurai on Sept. 6, 2018, 12:58 p.m.
the use of distance fog helps convey a sense of scale / distance and atmosphere (literally) in your game's rendered environments. 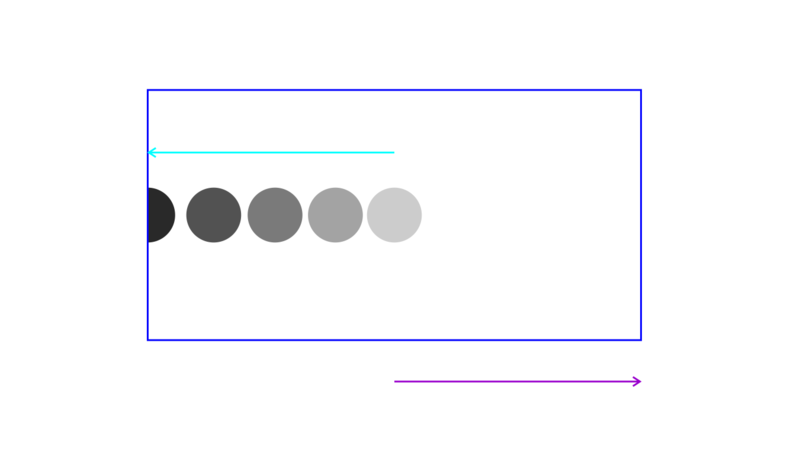 the other day, upon changing the camera's field of view in my renderer, i noticed something was off. i had absentmindedly been using the depth value, i.e. "distance into the scene", to drive the attenuation of objects for my distance fog effect. 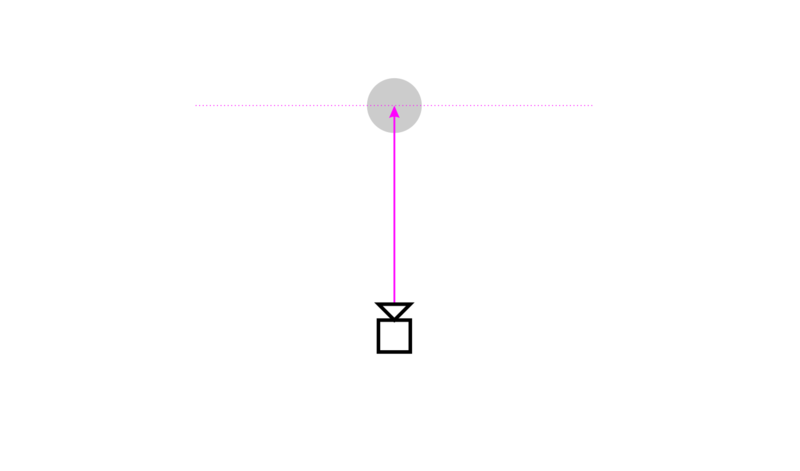 in the above top-down illustration the pink arrows represent the depth values of two objects. 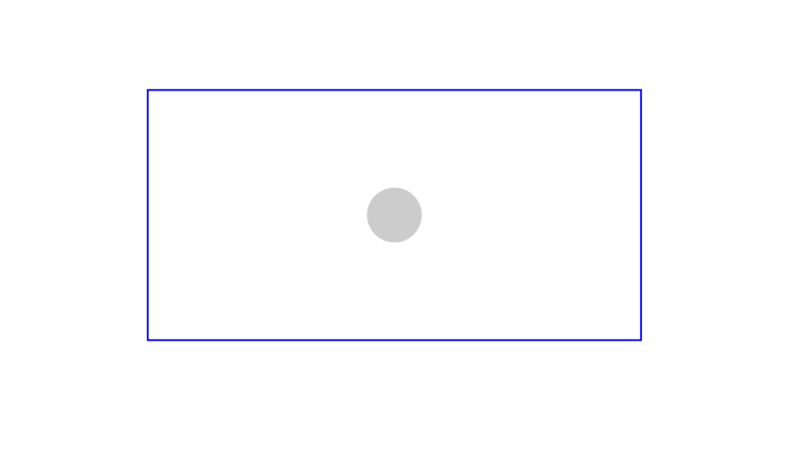 the one on the right is farther away and therefore has more fog between it and the camera, which in turn means it should be more faint. 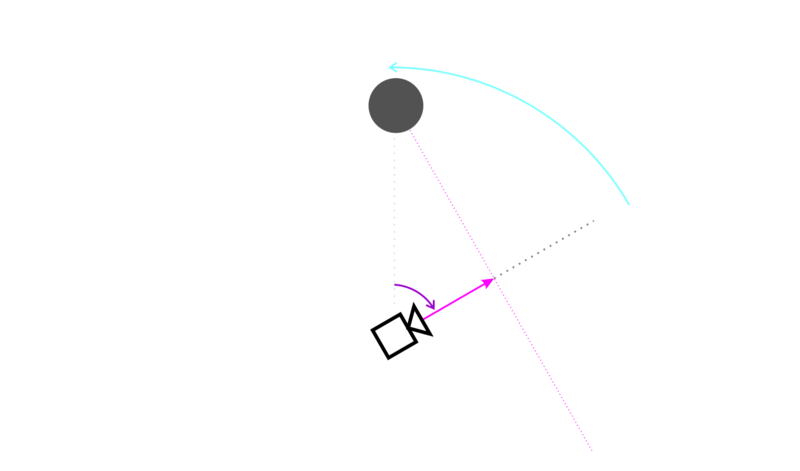 now, imagine what happens if the player pivots to the right..
relative to the camera, it means the object is orbited around the player, ending up to the left. 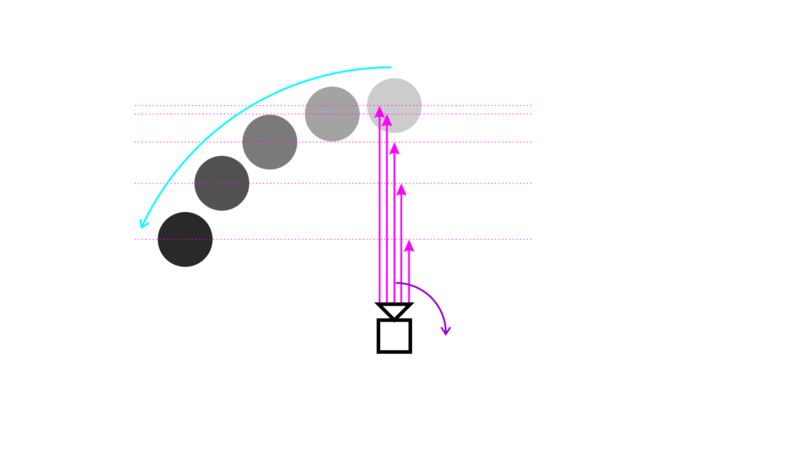 it also means its depth value - or z value, the distance along the camera's view axis - becomes smaller. 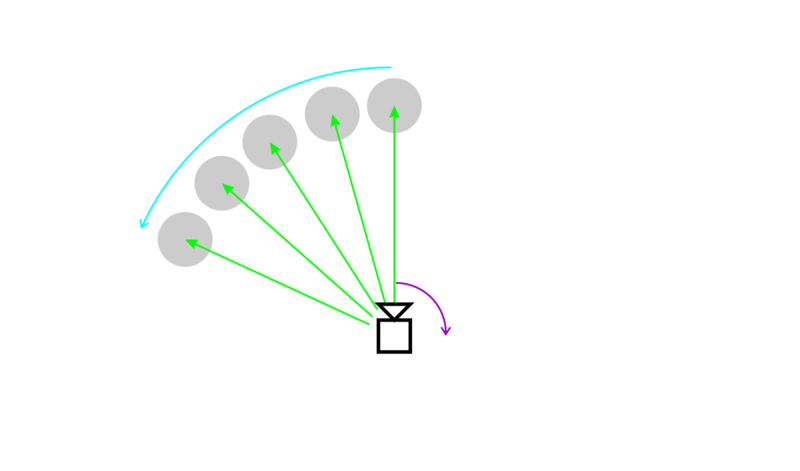 when using the depth value to control the fog effect, this causes the object to be rendered as if much closer to the player (in terms of attenuation). 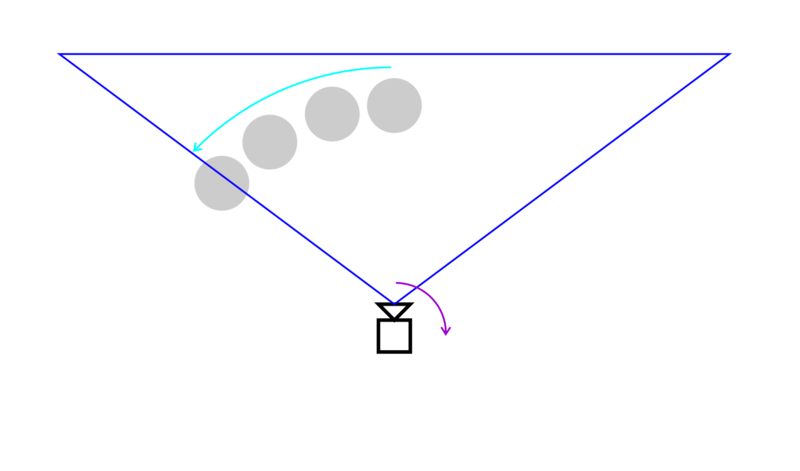 in the following slides, a purple arrow indicates a camera rotation in world space. 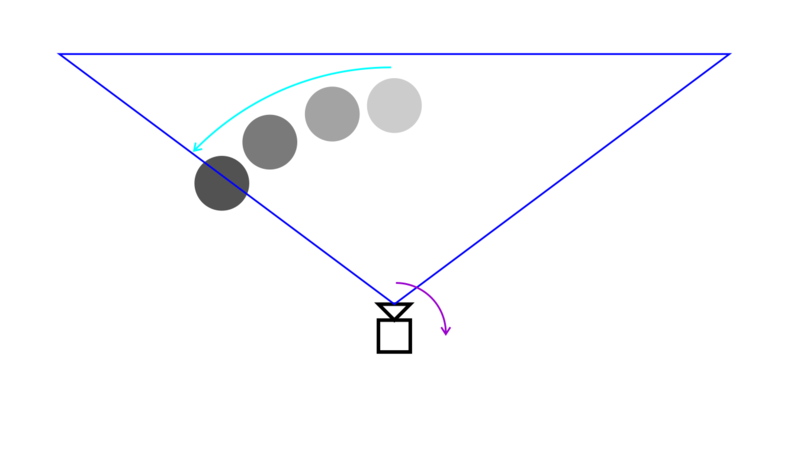 a cyan arrow indicates the corresponding movement of the object in camera space (aka view space), i.e. 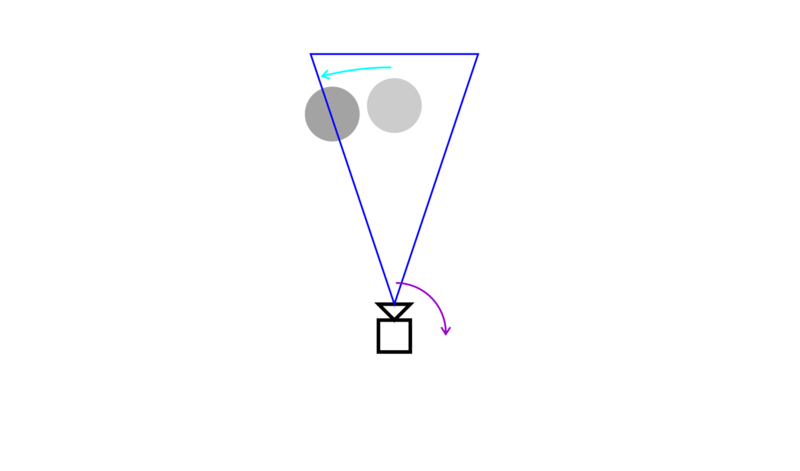 how the object would move relative to the camera during the rotation. 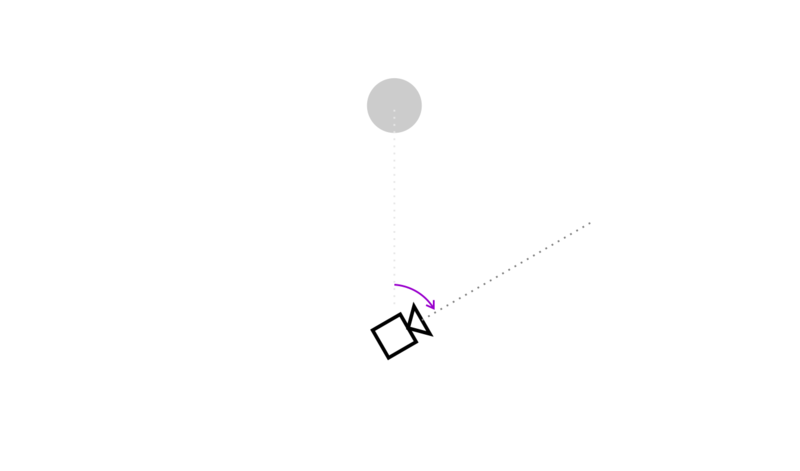 so, as the camera rotates clockwise in world space, the object is rotated anticlockwise around the camera in view space. 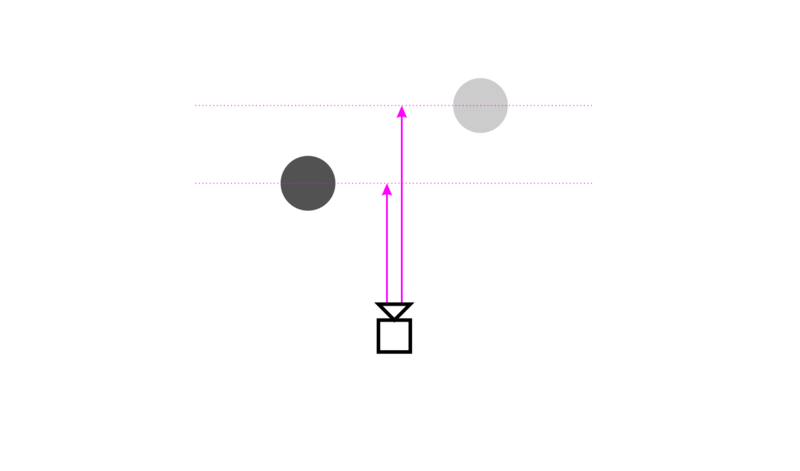 during this motion, the object's depth value - which, remember, is its distance along the camera's view axis - decreases and the depth-controlled attenuation of the object will cause it to transition from faint to clear as it moves away from center of view. when viewed through the camera, it would look like this: first, you'll see a faint object (indicating it's far away) straight ahead. 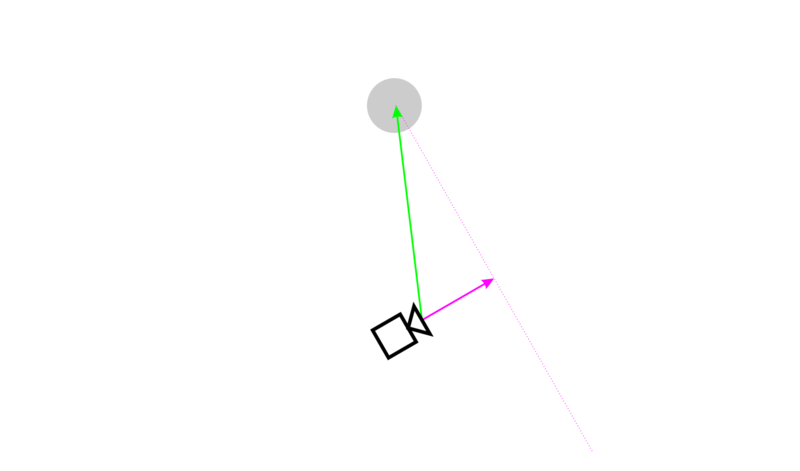 then, as you turn right (purple arrow), the object will move leftwards in your view (cyan arrow). at the same time it will become clearer / less attenuated, even though the world distance (and implicitly the amount of fog) between you and the object remains the same. this is not what we want. it causes a disconnect with the purpose of the effect, namely to act as a spatial cue and provide atmospheric presence. here, rather than a consistent environmental feature, something that's actually present in the world, the fog instead becomes an ambiguous camera-relative effect that makes the environment seem "unstable". in my case, the reason i hadn't noticed this slip-up earlier was that my field of view was too narrow for the attenuation error to become pronounced (objects would disappear out of view before getting orbited close enough to be severely affected). however, once i changed to a wide angle view, it became apparent.. The videos illustrate the problem very well, and it seems like an easy mistake to make.